Become An Affiliate And Earn Commission! Become an affiliate and start earning commission on every new MIDAS sale you generate! 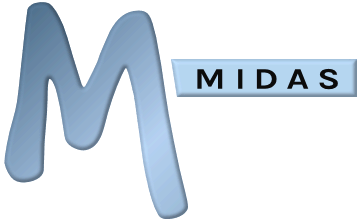 What is a MIDAS Affiliate? An Affiliate is someone who promotes our room booking and resource scheduling software through referral links to our site and in return is rewarded by earning a commission from every referral that results in a new sale. Yes! Whether you're an existing MIDAS customer or not, as long as you have a PayPal account (into which your commissions will be paid), anyone may become an Affiliate and start earning commission. Not yet with PayPal? No Problem! Get a FREE PayPal account now! Alternatively, if you are an existing MIDAS customer, you can opt to take your referral commissions as account credits instead, which reduce future Annual Support Subscription renewal costs, license upgrades, or addons for your MIDAS system. Once your application has been approved, you will be assigned a unique "Affiliate ID" which you can include in all your links back to our site. We'll even provide you with a range of text and image links to choose from, or you can make your own! Our website tracks visits that have originated from your affiliate links, and if someone you refer then goes on to purchase a cloud-hosted or self-hosted edition of MIDAS within 60 days, you will earn a commission! Can I track my referrals? Yes, we'll send you a monthly report by email detailing the number of referrals you've accumulated so far, and how many of these referrals have led to actual sales! It's absolutely FREE to join... so Apply Now! Are you an existing MIDAS customer? How would you like to receive commissions? Which currency would you like to receive commission payments in?